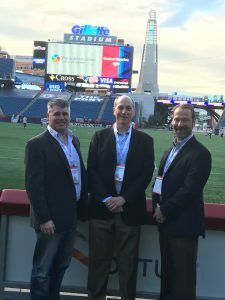 VERTEX at Massbuys Expo 2018. Greg Sampson, Chris Carleo, and Andrew Chagnan. VERTEX is excited to participate in the MassBuys Expo on May 10th. Stop by our booth #134. We will have experts in engineering design, environmental, and construction to talk with, and you could win a football!